For the past two years, my goal was to read 50 books in one year. In 2012 I fell short by 11 books. In 2013, I fell short of this goal by 18 books! In theory, 50 books a year doesn't seem like it should be that hard. That's a book a week with a 2 week grace period. This year, I decided to lower my goal to 30 books in one year. Seems more than doable - heck, I'm already ahead of schedule! Except let's not forget I'm having a baby in February, so who knows what will happen to my reading habits! *I rated 13 books higher, with the most underrated book being The Great Gatsby. I rated this book 5-stars, while the average Goodreads rating is 3.82. *I rated 18 books lower, with the most overrated book being 13 Reasons Why. 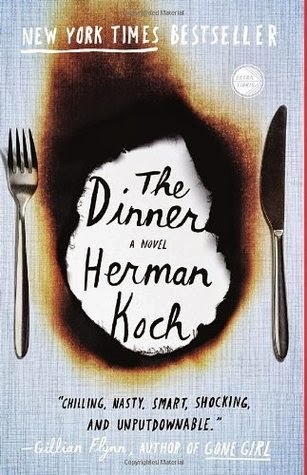 I rated this book 2-stars, while the average Goodreads rating is 4.06. *I rated 1 book on par with the average Goodreads rating: I gave Snow Flower and the Secret Fan 4-stars, and the average Goodreads rating is 4.01. I always enjoy seeing my reading stats even though said stats do not weigh-in when I'm picking which book to read next. Meaning, I don't consciously choose to read a female author over a male author, or a shorter book over a longer book. Although, I have always made more of an effort to read Canadian authors when the opportunity arises. With baby coming late February, I expect my reading habits to change - a lot. The majority of my reading is done when waiting for appointments, on my breaks in my car when I'm working, or late at night. All things that won't be happening when baby comes. Except maybe late night reading during feedings (one can hope!). So it will be interesting to see how this year goes. Hmmm, just writing that makes me think even 30 books is a lofty goal! But reading has always been a big part of my life, so as long as I always have a book "on the go", I'll be happy. Tell me: What are your 2014 reading goals? Any must-reads on your list? 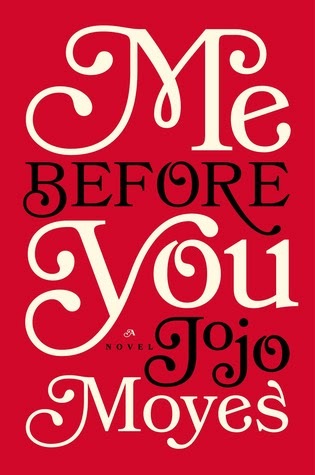 I'm reading Me Before You right now! I love it more and more as the story progresses. I was surprised it got such high ratings on Goodreads, but I think I'm coming around to see why. You still read, which is awesome. I definitely read a lot during feedings (my ereader with front lighting is key for this!) and usually when LO is napping. For one of his naps, I'll strap him on me and lull him to sleep with a few songs on the piano, then get things done around the house, then for his second nap I read while he either naps on me or in the crib. And in the mornings if I'm up before him (that is, if he decides to sleep until 7:30, which is rare!). I'm SURE you can work it in! I planned for 75 books ... maybe too adventurous? I love all these stats! I saw Laura's and told myself to keep better track this year of what I'm reading and all the stats that come with each book so I can do the same thing at the end of the year. I'm already looking forward to it! Maybe not the year ending, though ... I already wish it would slow down! Read it! It's such a great book, and a pretty quick read. I thought about the story and the characters for weeks even after I finished it. I do really hope to be able to read during feedings. I think I might ask my mom if I can borrow her Kobo, although it's not front-lit, but it still might be easier than trying to prop a book up! I can't justify getting my own e-reader now that I'm done working, not to mention all the un-read books I own! I expect my reading will be like any other year - where I'll have periods where I read a lot, and then periods where I don't read much at all. You're lucky you are such a morning person, because I AM NOT lol! Stats are so fun! I didn't keep track of anything more other than what Goodreads compiles for me. Since I only read 32 books, it was easy to go through and count to get the stats on female authors, etc. For you, that would be a lot more work! A spreadsheet would work well for you! I wanted to do one for this last year, but kind of forgot. There are other things I'd like to keep track of (pub date, etc), and it would be nice to not have to go through each book at the end of the year to get the numbers. I really should do a post on that book, shouldn't I? ;) But yes, I highly recommend it! All my stats come from Goodreads - they keep track of the page numbers read, etc. But, yes, it doesn't include audiobooks or e-books. BUT, you could look up the book and keep track of what the actual page number would be if you had read the print version - this is where a spreadsheet would be so handy! And apparently, you can even export your Goodreads stats to an excel spreadsheet! I love your stats breakdown :). Me Before You was definitely one of my favourite books of 2013 too! SUCH an amazing book. I haven't read anything else by her, but I'd definitely like to! I haven't either, but I just recently picked up The Last Letter From Your Lover by her at Chapters in the bargain section! It's been on my radar for a while...sounds really good, although completely different. I almost started it yesterday, but went with Little Bee instead. Jeez 75% female is impressive. Were you trying, or did it just work out that way? Ohhh The Rosie Project! Another wonderful book I just read :) I think I'd read that one first. And I do think you should read The Dinner - just so we can talk about it haha. No, I in no way tried to read female authors over male, it just worked out that way! Last year, 72% of the books I read were female authors...so maybe I just gravitate towards the type of books that women write over men?? Who knows!